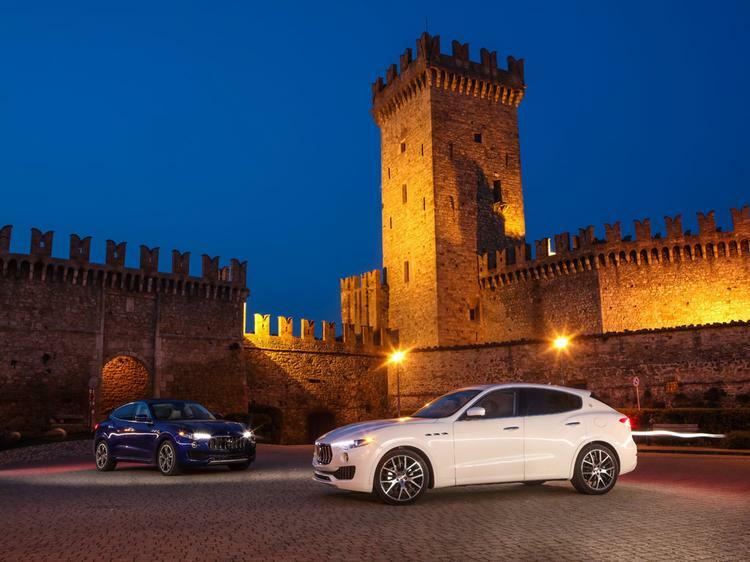 If the Jaguar SUV didn’t prove sufficiently that these vehicles are here to stay, the Maserati alternative will unequivocally force it home. 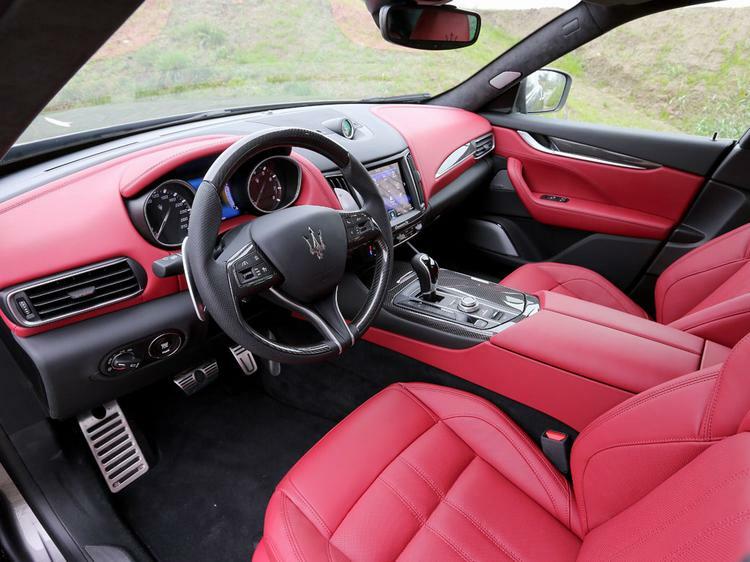 This is Maserati after all, the firm with an enviable F1 heritage, no previous in the off-road market and a product line-up that has always – and unapologetically – been about sports cars and sports saloons. That’s how important the Sports Utility Vehicle has become. But Maserati is aware of this. Of course it is. 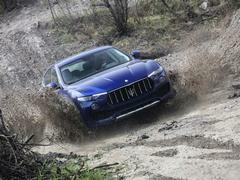 Throughout the launch, the ‘100 per cent SUV, 100 per cent Maserati’ slogan is trotted out, the point being obvious: the Levante is the kind of 4x4 people are clamouring for, but it’s also undeniably a desirable and capable Maserati. Or so they say. Bring the two together successfully and the car should be excellent. Hold on to that thought. Initial impressions are, a little against expectations, very good actually. It would appear the spec of the Levante at the Geneva show didn’t flatter it, the car looking far better out of the expo hall and on the road. And not in white. The cars here are all on 20- and 21-inch wheels – goodness knows how the standard 18s will look – which work well, if not with quite the confidence of a Jaguar F-Pace. Funnily enough many of the tricks employed to make the Jaguar look good, including a long bonnet, cab-rearward stance and narrow window line, are used here. Overall it’s better than you probably first gave it credit for, and not ugly. 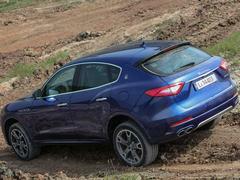 But the traditional Maserati styling cues arguably don’t work as well on an SUV. Make sure to see one in a dark colour on big wheels before making a final judgement though. The inside is very good too, particularly in terms of material quality. Hopefully prospective buyers will notice this before the touchscreen; in terms of functionality and responsiveness it’s above average but the relatively small display and bland colours don’t impress as much. That being said, you sit low and all the information the driver will need is clear and easily accessible; it’s probably become too cliched to say so already, but the Levante does feel like a sports saloon from behind the wheel and not a 4x4. 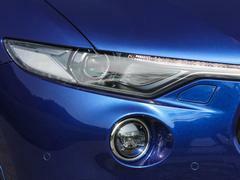 In both petrol and diesel models, the refinement is exemplary. Wind and tyre noise remain incredibly low at UK motorway speeds, at Italian motorway speeds and, er, above those speeds, the cabin superbly hushed throughout. The loudest noise appears to be the exhaust, but still the Levante rivals the best luxury cars for interior peace and quiet; an extremely low drag co-efficient of 0.31Cd must help, plus Maserati’s testing using the Articulation Index (basically an experiment to see how quietly a conversation can be held in a car - there’s a graph and everything). 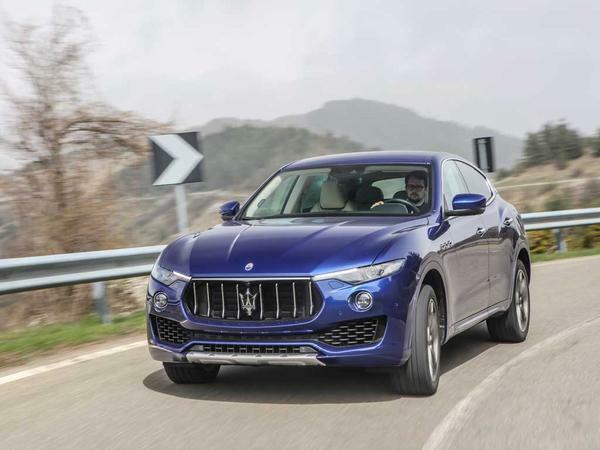 If you will be driving long distances on the motorway, or have to drive someone else for long distances on the motorway, the Levante must be on your shortlist. Part of the test route involves a hill climb where Alfieri Maserati enjoyed some success, and the Levante continues to impress. The car is fitted with standard air springs, Maserati quite proud of this fact as it means just one suspension set up had to be devised. 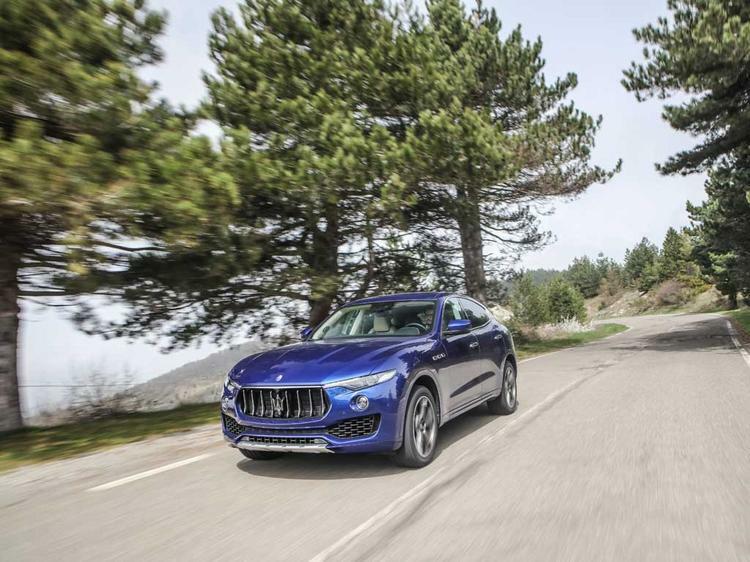 In combination with the variable dampers, the Levante’s ride and handling balance feels nicely judged, dealing admirably with the lumpy tarmac while not disturbing the refinement. Predictably enough given the 265-section Pirelli P-Zeros at each corner, grip is huge on the road and a 50:50 weight balance does at least mean the 2,107kg feels well contained. Eventually cracks appear in the Levante’s facade though. As is so often the case, there is only so long a 2.1-tonne car can behave like it weighs more than 500kg less. 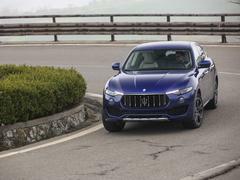 Credit to Maserati, the Levante keeps up that front for a good while, no doubt helped by torsional stiffness that’s said to be 20 per cent better than a Ghibli. But just occasionally it would hit a series of bumps under braking and not feel entirely assured, the odd thud disturbing quite serene progress. This seemed to be exacerbated by the Sport suspension setting, a stiffening of the dampers not really agreeing with the road and the rest of the set up. At a couple of points the ABS was triggered when it didn’t seem necessary too. 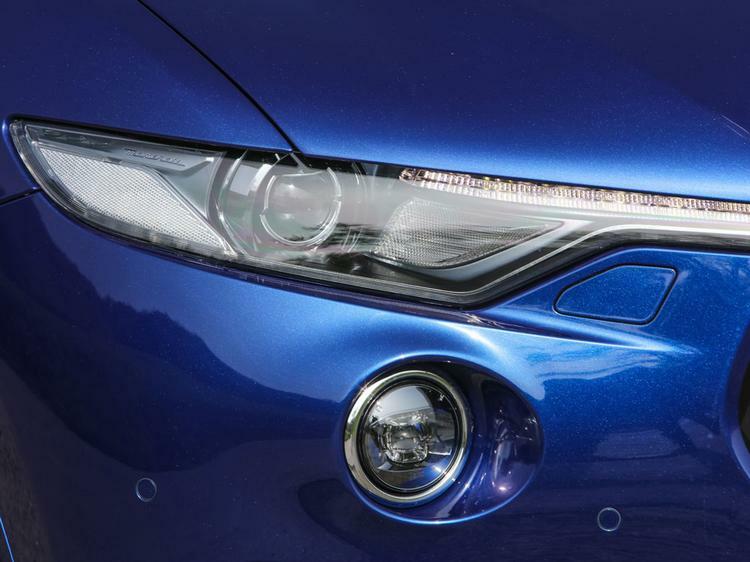 It’s good enough to feel broadly competitive in the segment, but hopefully it’s one to be definitive on in the UK. Yes, that old chestnut again. A couple of points we can be sure enough of now though: the steering is over-assisted despite having a nice rate of response, and the gearshift paddles are great. Fixed, large slivers of aluminium, they are a real focal point inside. First experience of the diesel is on the off-road course at Monte Cappuccio, which proves more of a test than first expected. 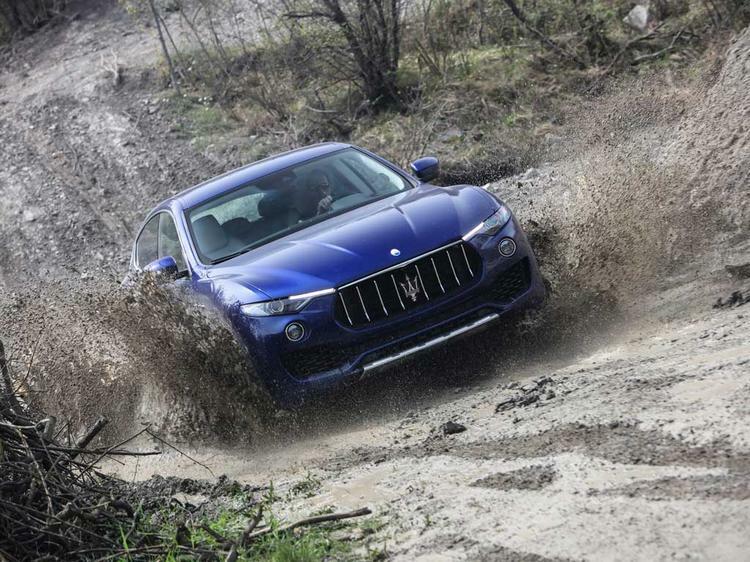 But the Levante has sufficient technology to cope and, while we have to avoid the routes where “Land Rover do some of their extreme testing”, the car is easily capable enough for what buyers will need. The ride remains composed, the steering makes the car easy to place and the hill descent control makes the job even easier. The air suspension can be hoisted up another 45mm from the road height too. That a maximum of 50 per cent of the torque goes to the front wheels says a lot about the off-road ambitions, but it can at least be transferred in 100 milliseconds. In the dedicated off-road mode the accelerator is softened, which doesn’t suit the diesel as you’re often found with quite a lot of throttle travel applied and the engine still in its laggy dead spot. It doesn’t suddenly take off on boost, but the apparent reluctance can be a little unnerving on the bigger ascents. Fortunately the news is better on road. If anything the diesel is quieter than the petrol as it lacks such a shouty exhaust, making it marvellous on the autostrada. On tarmac and in Normal mode again – there’s an ‘Increased Controlled Efficiency’ with a softer throttle alongside Sport and Off-Road – the gearbox works around the low-rev lethargy far better too. 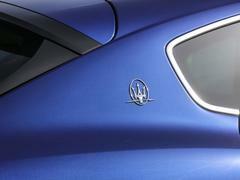 Trouble is that beyond the low-rev lethargy there’s not a huge amount, arguably too little to warrant the Maserati badge. With 275hp it will certainly be quick enough for most, but for the Levante to enter a segment with one of the least powerful engines seems odd. 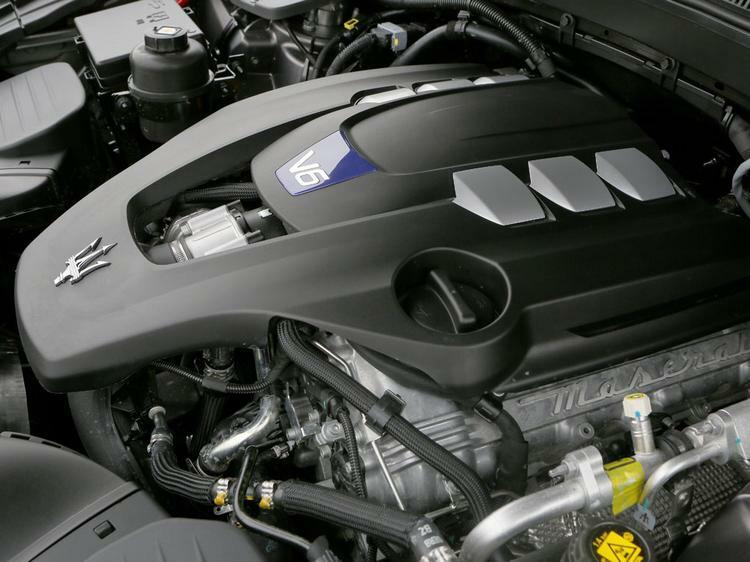 Interestingly a more powerful engine was investigated during development, but was deemed unnecessary given small volumes were expected. Even with a little less performance than anticipated though, the Levante is a fine car. 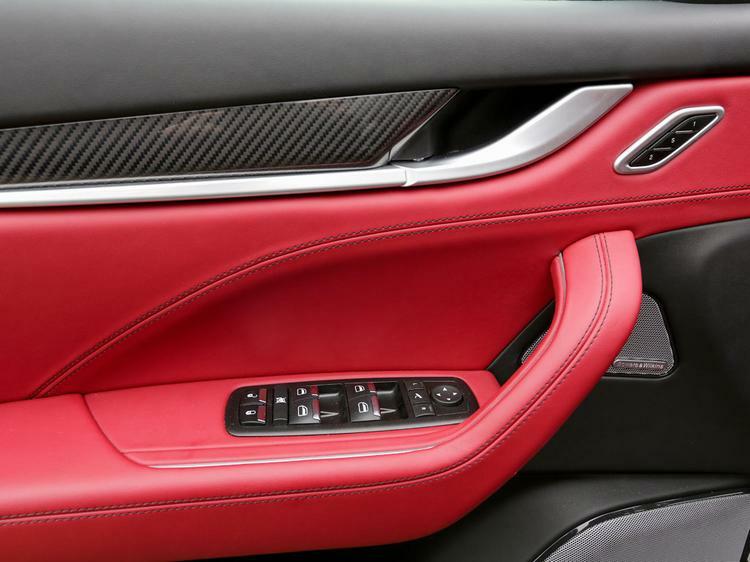 It appears that much has been learnt from the Quattroporte and Ghibli to ensure that the third car using this architecture is easily the best. 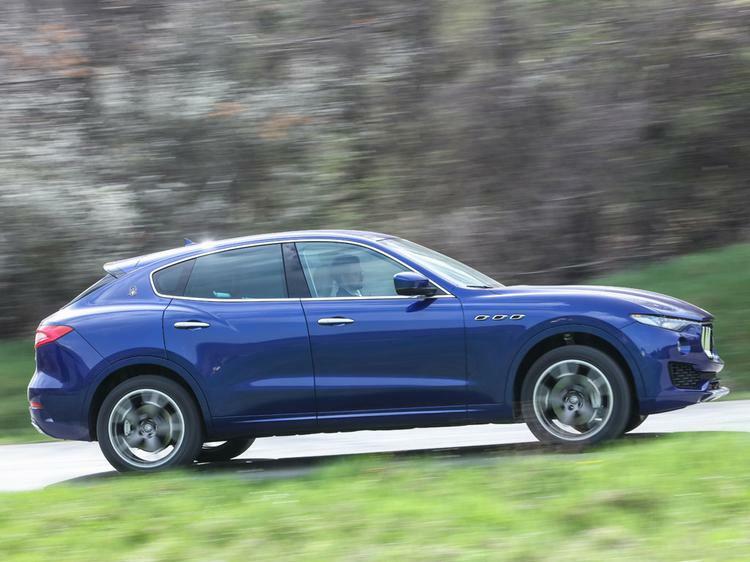 It needs to be too, given Maserati wants the Levante as its volume seller. Despite a tough market it deserves to succeed, the subjective pull of the Maserati badge matched if not surpassed by the objective ability. Detailed specs will follow as the November launch date nears, but Maserati is predicting a price for the diesel of between £53,000 and £55,000. At this level the most natural rivals would be the Porsche Cayenne Diesel (262hp and £52,689) as well as the BMW X5 xDrive 40d (313hp and £52,320). Instinctively you would look to the Range Rover Sport too, but its cheapest model is the 306hp, £62,700 SDV6 HSE. Perhaps an F-Pace Diesel S at £51,500 would suit instead? It’s a physically smaller car but didn’t feel noticeably so inside. There’s easily enough from this showing to prove the Levante can compete with those cars though, a point we look forward to testing over here at the end of the year. 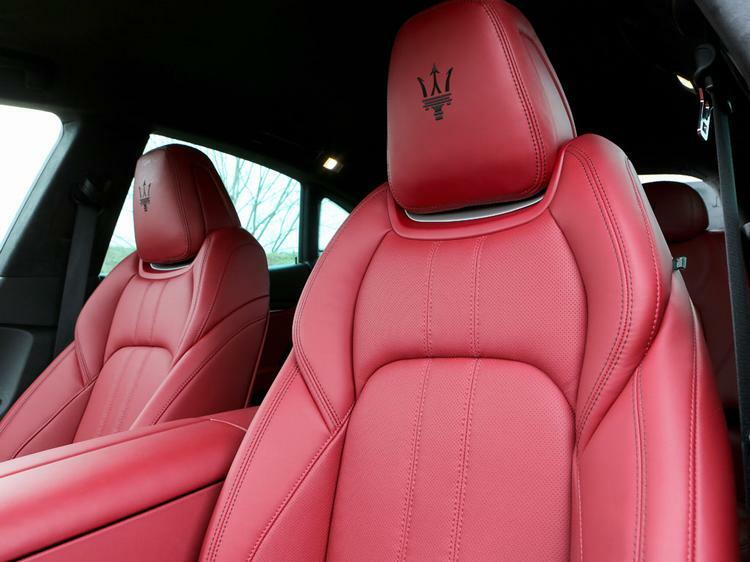 But the news now is clear, and the news is good: there’s a great Maserati here, which is a jolly nice thing to write. This or a German 1? I'll take 1 of these. This or a British 1? That's really a hard choice. 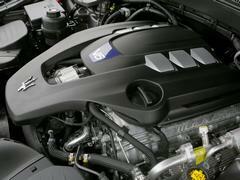 Maserati now a maker of diesel SUVs? How are the mighty fallen in the name of short term profit at the expense of ruining the brand. I guess everybody else is doing it, now I'm just waiting for the Lotus diesel 4x4. I like this more than the F pace and if I have read it right its same size as an X5 where as the F pace is more an X3 Q5 size. Price is right too. I like my 4x4s to be big with upright sitting positions, if you want salon space and seating then buy a saloon. 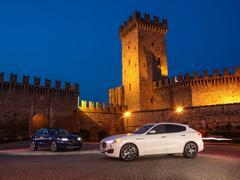 I really want to like this new family of Maseratis (QP, Ghibli, Levante). They just seem so contrived. 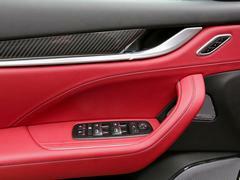 You can imagine the Fiat/Chrysler board meetings - "we need a luxury brand in these segments, Maserati will do, here's some soulless modular architecture components, job done". Design and execution seem rushed and done to a price, in my opinion.